Thank you very much everyone! :) Hope to use these soon! Quizlet.com is another good resource. @ God's Dancer, (I'm sorry! This is off topic, but I don't know where else to put this! :-| ), I think you're set as one of my referrals, but I don't know you! Were you referred by THE Emily Hamilton (opposed to me, THE other :D)? Because she has a different name than "Emily Hamilton" set on her profile. @ God's Dancer - you're welcome. Yes, Zach. Thanks for the link. I used it in my Bible Bee helps email. Alex, could you please post a sample question and answer similar to the ones on the quiz? Yes Emily, sorry. How do I change it? 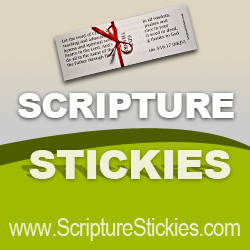 I LOVE study stack, because there are so many fun games to play, which actually help you memorize verses! @God's Dancer: If you know the username of Emily Hamilton from New Jersey, you can change it by going to your "Account: Referrals" page. If you don't, then I'm not sure how to change it. There are several verses on the ESV sheet that are ESV 2011, not 2007, including 2 Timothy 3:16-17 and Colossians 3:22-24. Lauren and all other ESV users, sorry for not being aware of the difference. When we get a chance, we will go back and redo all the ESV verses. So the 2007 version is what the Bible Bee is using? Congrats on being sooooooo close to 200!!! How exciting!!! I fixed it Emily. Sorry. I do not know how I clicked your name. I was looking for follower of God [Hope Harrison Acts 16:31]. Woops. Again, I'm REALLY sorry!! Gods Dancer -- Don't be sorry! :) It's no problem! Who all is in the Bible Bee, and are you Primary, Junior, or Senior? I'm Junior. BTW I was God's Dancer. I am a Junior in the Bible Bee too. I just memorized my 430 verse!! Scripture typer is an excellent tool for memorization!! I love it! Jonathan Peterson, a Memverse user, recently developed another tool for Bible Bee studying: www.memverse.com/bible_bee_tool. We're looking forward to working with him more in the future as he studies web design. Thanks Jonathan!